Years after his family gathered to prepare classic Chinese recipes, an Asheville chef continues to bring people together over East Asian-inspired comfort food. But the O’Cains weren’t fazed. In the late ’70s, there was only one Asian grocery store in Asheville, and O’Cain’s parents became regulars. While the rest of the country was being wooed by Julia Child, the O’Cains were falling in love with Jung-feng Chiang. 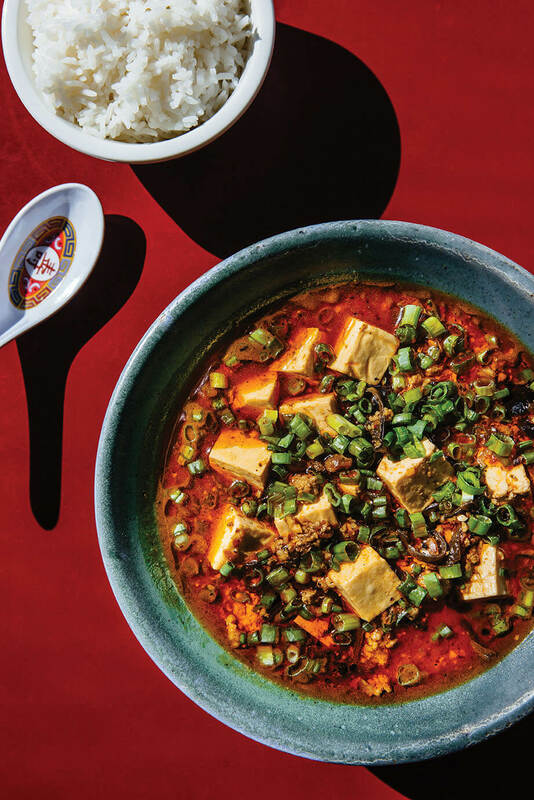 At least once a week, they would make a family favorite from the book, like mapo doufu, an iconic Chinese dish with tofu and ground pork, lots of brightly hued chili oil, and tongue-tingling Szechwan peppercorns. Something about those meals stuck with Patrick O’Cain. The older he got, and the farther away from home, the more he started to chase them. He was born in Asheville and lived there for 18 years, until he left for college at NC State. He majored in English and French and, after graduating, traveled to France to teach English. That was when he started to realize something. He liked language. But he loved food. O’Cain returned to the States and enrolled in the culinary program at Asheville-Buncombe Technical Community College. He soon got an internship at McCrady’s, an acclaimed restaurant in Charleston, South Carolina. That internship turned into a job offer, so he seized the opportunity and left school. The sous chef at McCrady’s connected O’Cain with his next job: helping open a restaurant in Charleston called Xiao Bao Biscuit. The concept was Asian soul food inspired by myriad countries, from China and Japan to Korea and Thailand. This venture, more than anything thus far, resonated with O’Cain. After all, he grew up eating mapo doufu. This was his kind of soul food. “Treat it like it’s yours, and, someday, it will be.” That’s the advice that renowned chef Thomas Keller got at the start of his career, and it became his mantra. By applying pride and a sense of ownership to his everyday work, even scrubbing dishes, Keller succeeded. He became the inspiration to a whole generation of chefs. 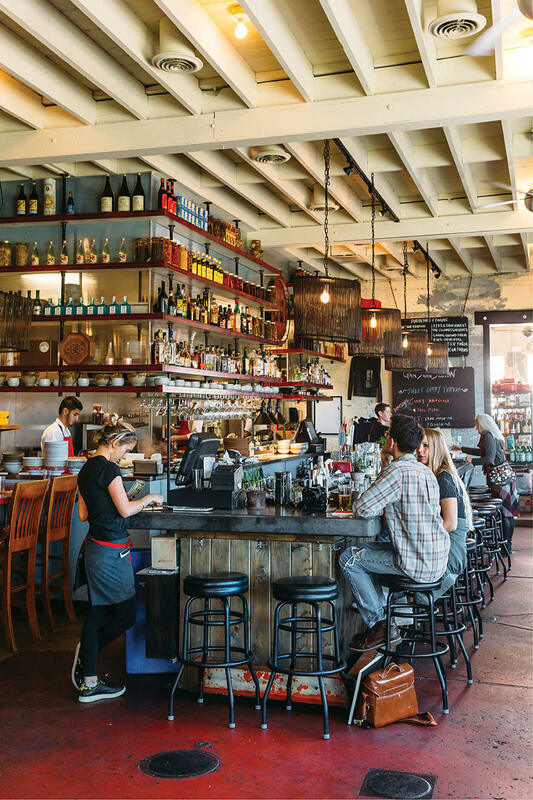 Indeed, as O’Cain grew as a chef at Xiao Bao Biscuit — including a three-week staff trip to Japan, Taiwan, and Thailand — he started to think about what was next. Ironically, it wasn’t those travels to Asia that solidified the vision for his own restaurant. It was his visits home to Asheville. Gan Shan Station opened days before the world rang in 2015, a few miles from where O’Cain grew up. The building used to be a gas station, which he remembers from his youth. But by the time he moved back to Asheville, the lot had been abandoned for years. Today, you would never know it — save for a few reminders hidden around the space, like a salvaged gas pump hanging from the wall. Between its dining room and outdoor patio, Gan Shan seats more than 100 people — which is even more noteworthy when you see the tiny kitchen. And you will, because it’s entirely open. From the cooks stir-frying drunken noodles at the stove to those rooting around the pantry, looking for black vinegar or dried shiitakes, Gan Shan’s design strips away any mystery. It evokes the spirit of eating in someone’s home. The menu, meanwhile, evokes eating in many people’s homes, in many different places. Like Xiao Bao Biscuit, Gan Shan Station draws inspiration from a vast region rather than a single country. You can visit Thailand for green papaya salad with charred scallions and peanuts. Or Korea for crispy gochujang chicken wings. 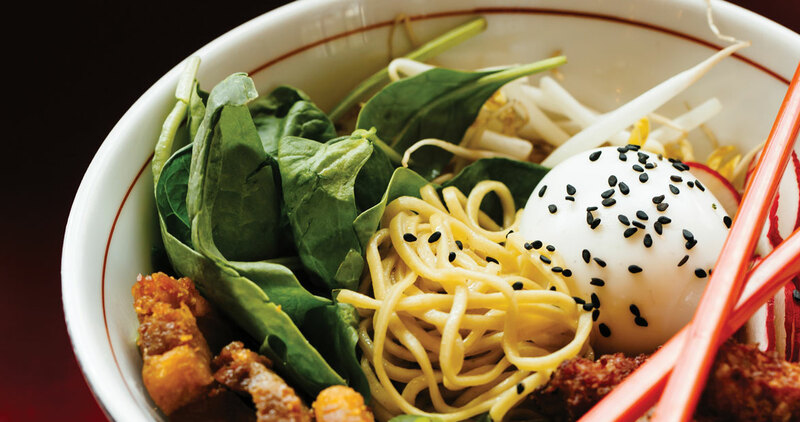 Or Japan for pork belly and soft egg ramen. Or China, guided by Mrs. Chiang, for red-cooked shrimp. And yet, as much as the recipes and flavors speak to East Asia, the ingredients have an unmistakable Southern twang. Ask O’Cain where this or that came from, and he’ll tell you about One Fortune Farm in Marion, where the Lee family harvests short-grain sticky rice by hand. 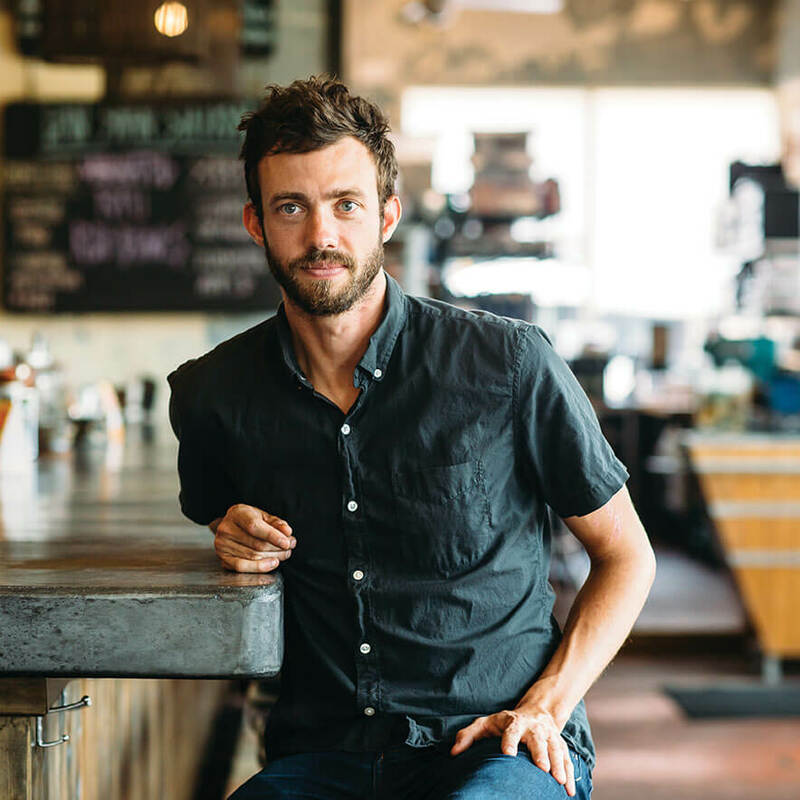 He’ll tell you about Mark Marhefka, who drives fresh seafood to Gan Shan from Charleston every week. And he’ll tell you about the garden outside the restaurant, which supplies the kitchen with countless chilies. Because for O’Cain, cooking East Asian food was never about traveling the world. It was about turning back time — following his parents into the kitchen, making mapo doufu, and sitting down to eat, together. A gas station is a transitory space, a stop on the way to someplace else. You pull in, fill your tank, maybe get a soda or a bag of chips, and speed away. But Gan Shan Station wants you to sit down, stay awhile, slurp noodles, sip sake, chat about nothing, or everything. And that mapo doufu O’Cain and his family love so much? You won’t always see it on the menu. But — between us — you can always ask for it. If the kitchen has the ingredients, they’ll make it for you. Just like a parent, whose child really wants his favorite dish for dinner. O’Cain remembers how that feels.